Can I Improve on STEEM using Steemitboard Stats? First is @arcange with his steemitboard work. I look at this on occasion to see how I am doing, but have not really taken a hard look at my numbers before in the two years I have been blogging here. Then I saw a post by @akomoajong, where he has decided to track his steemitboard stats monthly for a while and showed me how to do it. I think I might follow his lead with the monthly idea - at least for a few months. So I plunged in today. @fitinfun is my main blog since June 2017. My usual topics are freewriting, photo posts, travel and minnow tips. 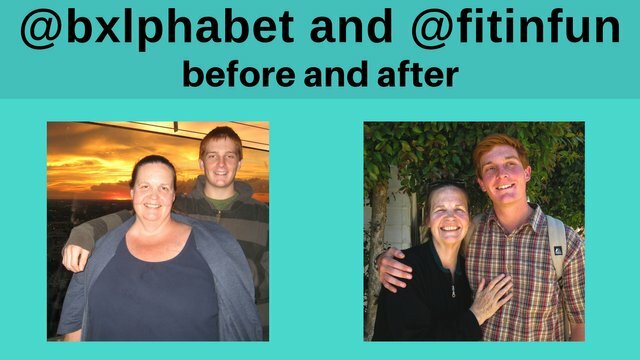 Every single thing I do is with the goal of helping others to beat obesity naturally like I did eight years ago, so that theme is in most posts somewhere. @bxlphabet is my son's blog since August 2017. I help him with some of what he does. We are a team on two continents. He posts about steemmonsters, California, music, actifit and just started to freewrite. 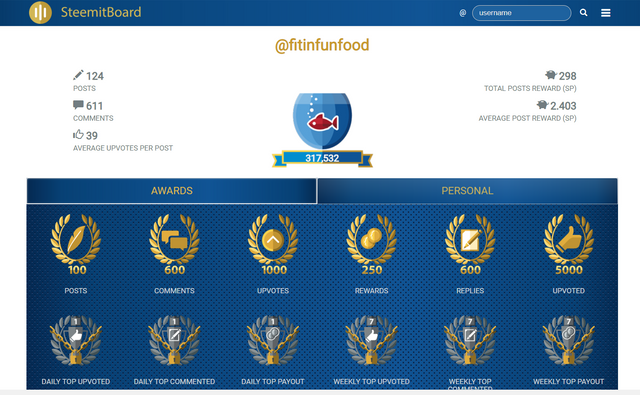 @fitinfunfood is my food blog since Jan 1 2019. Yes, it's all about food and I am very happy with the progress on this blog after only three months. I think it will only get better over time as I find more places to enter food posts and get my act together to do them more efficiently. All three blogs post to contests, challenges and sponsored tags. We do not post random thoughts to nowhere. All blogs lease delegated sp and fitinfun has one gifted delegation. All blogs self-vote and circle jerk each other. I am HIGHLY considering stopping the self-voting part of that equation. Did you know there is more to the steemitboard than the badges? I did not until I saw the post above by @akomoajong. If you click the three lines at the top right of those screens you get stats! You can see I have the dropdown open in the fitinfun screen above, and here is what it looks like when you go there. This view shows that I am number 305 out of all steemers on resteems. I am sure this is because of all of my minnow tips posts that get resteemed by redfish constantly. Now that I have ginabot I see the resteems happen in real time. My most current minnow tips post gets resteemed often. When I publish a new mega-post every few months, I am pretty sure that resteems like crazy before payout as I promote it. 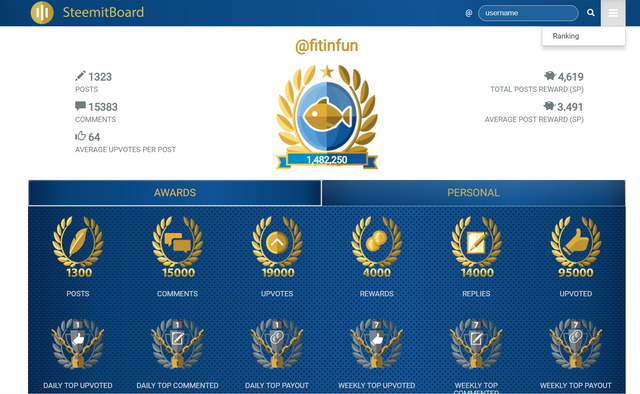 @fitinfun is the most established and I post and comment like a fiend, so I should be doing the best here. The reason my sp is so low is because I power down weekly to live off the money. I am in the top 1000 in about half of the categories. WooHoo! @bxlphabet did not really start his blog until Jan 2017. He only set up the account and voted with an autovoter for the first six months. Before the dapps started paying, he was only posting once or twice a day. He has been a lot more active and improving fast since January 2019. His account also powers down weekly. @fitinfunfood is the baby and so should be the "worst" performer. This account will start powering down at 200 sp. Still, it will grow faster than bxlphabet and maybe fitinfun too, due to tasteem reviews which are awesome for rewards, and will come 2-3 times a week as long as I can manage to eat out that often. I'm also winning a lot of food contests with this blog. 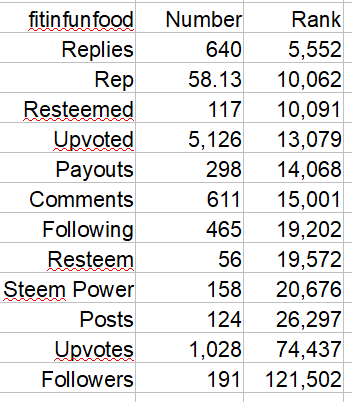 The reason that fitinfunfood is doing better on Ave Post Payout is that there was less suffering in the first weeks (months) due to my awesome skill set of "How to Get Votes" developed through working with the other two blogs. Both fitinfun and bxlphabet had months of posts with very little payout. The food blog has done much better right from the get-go. I will think about how to improve and check this again next month. Off hand, I think I should go around begging people to put us on their autovoter, but that might not be a good plan. I know people who do that begging trick successfully, but so far I have not tried it except in a couple of desperation posts when rent was due and not available. That plea for autovoting is in my footer these days, and I have gotten some new autovotes since doing this. I'm tagging some people who care about and work with minnows/redfish to get advice and input if you have any. And maybe this would have value to recommend this self-check to any of the people you work with. Please let me know if you do not want to be tagged when I update this post in a month or so. Do you think this stat tracking is a good idea, or is it a waste of time? Any thoughts on good ways I can improve on any of the blogs? Anything else? Thank you so much for reading and may we all continue to thrive. Here is my latest minnow tips post if you struggle here at steem. These tips can help you even if you are not new. 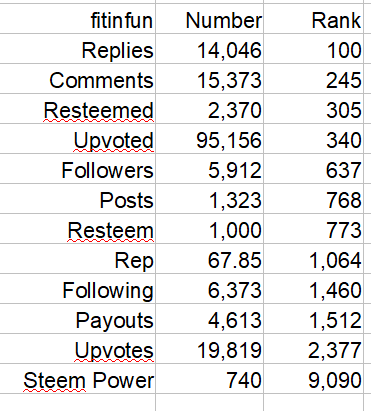 We all post on Busy most days, where their upvote for us is based on the collective SP of our followers. We all follow back, because we love you. This is the power of STEEM. If you delegate sp - you can go to @minnowbooster. One of the blogs always has an offer there at about 14% apr, and we are all very grateful if you delegate to us. Statistics say that only 5% of people with health resolutions for the New Year will still be on track after Super Bowl Sunday. Is your fitness equipment still out handy, and are you still on a "diet?" Soon we will be in Bathing Suit Season. Are you ready? I have already voted for them. I am not sure what to work on in these stats, if anything, and then how? @fitinfun has set 4.000 STEEM bounty on this post! Thanks for the shoutout. 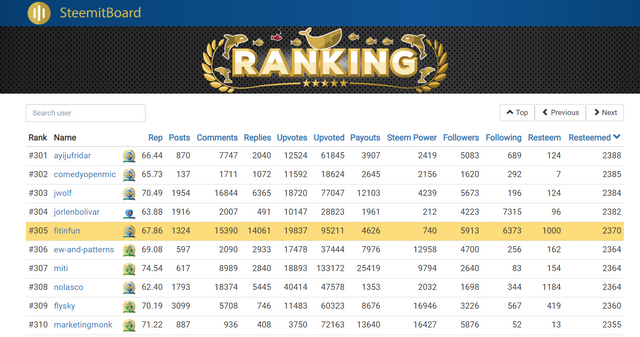 Great to see your rankings as well and I most confess that I am amazed with the stats from the fitinfun account. In general, the stats are pretty amazing and it only goes to show the hardwork and dedication that you put in on this platform. How do you do this? How much time do you spend on one post? share2steem 10-14 a week - these take 5 minutes each once I have someone's post I want to promote on twitter. I try to do these as soon as 24 hours is up from the last one, and keep an eye out for good posts, so I do not have to hunt for them. photo and food contests and challenges - 10-14 a week - these take almost no time for one photo or maybe 1-2 hours for a lot of photos. @tasteem restaurant reviews 4-5 a week and rising - these take maybe two hours not including the eating part lol. so each of those has to wait 24 hours from the last post. Whew! Now I'm tired lol. Well, I do not know what to say about this post, Mom. Too many numbers!!! I will just keep trying to post 2-4 times each day and use the dApps like you have told me. I like the votes I get from them. Maybe my monsters posts will start doing better too. I could not ever get so interested in all the numbers like this, but I will keep trying to do better here. That's what I am going for - a plan! I constantly find myself looking at my stats around the ecosystem as I feel it is a great way to measure our progress in growing our accounts. It is great to see and example on how Steem is providing a source of income as that should ultimately be the goal for many around the world. Hmm steemitboard took me deeply when I just joined to Steemit. And I tried to do all to recieve the next one badge but now I'm look on it not so often as before. I think my priorities changed a little bit in this area. But to track your results with it monthly not bad idea coz it allows you to make your progress more visible for other people and maybe even attract new followers. @fitinfun, In my opinion you've effectively explained the stats and your activity here and definitely it's really appreciable and i want to say that it was analytical session too. Keep up and good wishes from my side. Welcome and have a joyful time ahead. Would be interesting how many accounts a steemit user has in average. Good job monitoring this monitoring, is a great extrategia that I had not seen before. I'm starting now I want to see where I'll go by posting one a day. hola es bastante interesante tu historia de como lograste vencer la obesidad y me gustaria obtener mayor informacion ya que por la situacion de mi pais Venezuela como lo que hay y he aumentado de peso en una etapa de mi adolescencia estuve muy gorda, sufri buying cosa que me traumo mucho y no desearia pasar por la misma situacion nuevamente gracias por tan valiosa informacion.. Thank you for sharing your posts with us. This post was curated by TeamMalaysia as part of our community support. Looking forward for more posts from you. Congratulations! This post has been upvoted from the communal account, @minnowsupport, by fitinfun from the Minnow Support Project. It's a witness project run by aggroed, ausbitbank, teamsteem, someguy123, neoxian, followbtcnews, and netuoso. The goal is to help Steemit grow by supporting Minnows. Please find us at the Peace, Abundance, and Liberty Network (PALnet) Discord Channel. It's a completely public and open space to all members of the Steemit community who voluntarily choose to be there. Thank you @fitinfun.l am so amazed of what you did. KEEP IT UP! OnePageX.com is the fastest way to convert STEEM and other assets to over 140 cryptocurrencies! Great Rates, Low Fees & Fast Crypto Exchanges! Check out our most recent news update. Interesting! I had not heard of that one. Thank you! 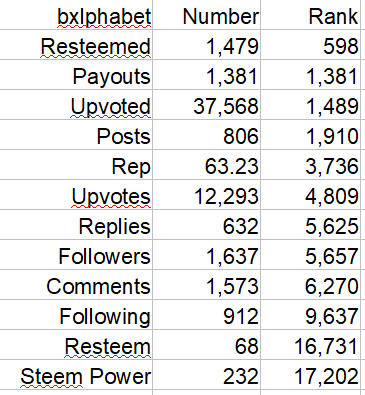 Your UA account score is currently 4.916 which ranks you at #1241 across all Steem accounts. 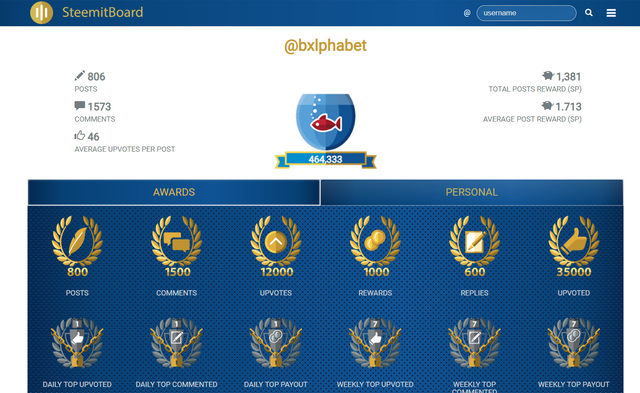 Your rank has improved 3 places in the last three days (old rank 1244). In our last Algorithmic Curation Round, consisting of 222 contributions, your post is ranked at #22.